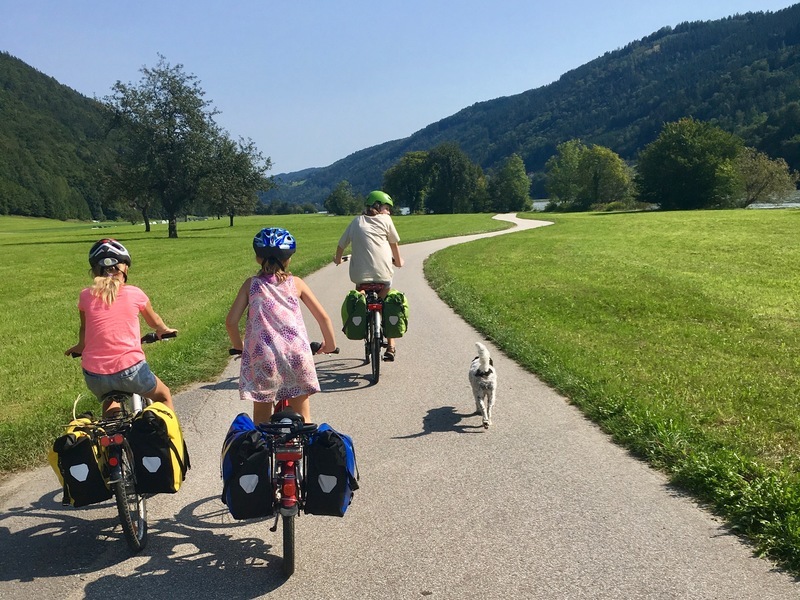 Two weeks ago, I, along with my husband, our three daughters (ages 8, 10 and 14) and our dog, set out on our newest adventure – biking 340km along the Danube River from Passau, Germany to Vienna, Austria. Biking all day, being outside all day — having time to think, dream and truly enjoy is an incredible thing. 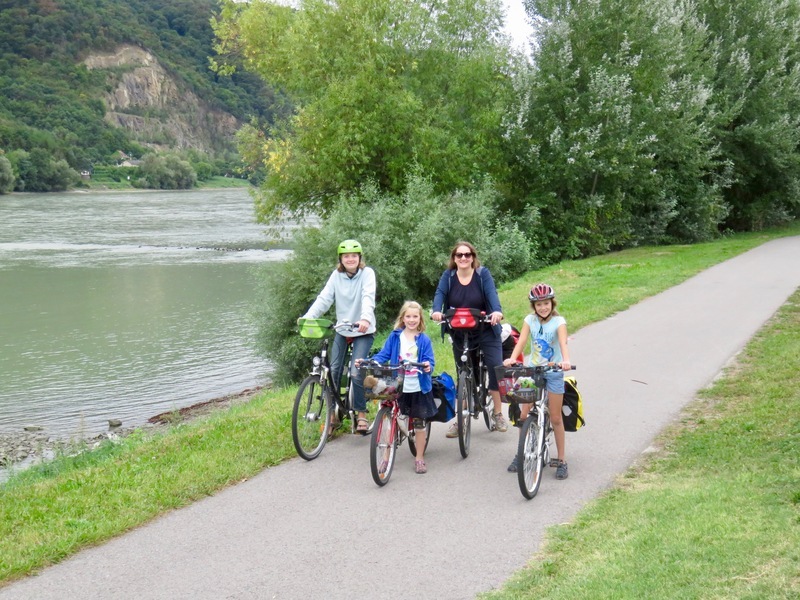 Rolling into Vienna with sore legs and behinds but big smiles, we’d already decided to do another bike trip soon. 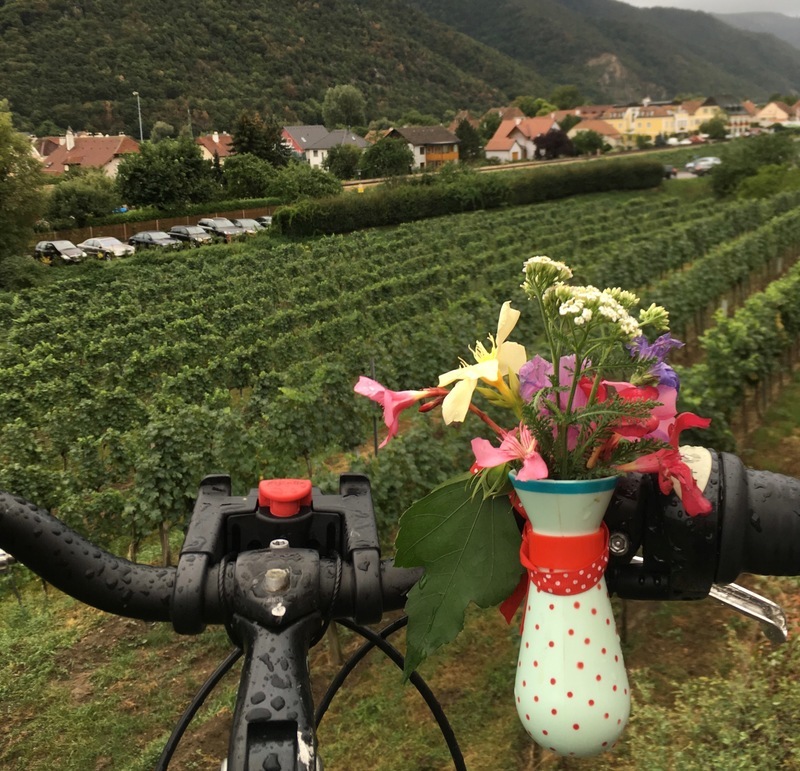 With the ride fresh in my mind, I’m sitting in a little guesthouse in the grand Austrian capital not only reflecting on the ride itself and what we saw — the charming Austrian towns, the sunsets, the vineyards — but also the very different kinds of people we met along the way. I think about how choosing the characters in our stories is one of my favorite parts of the story writing process. 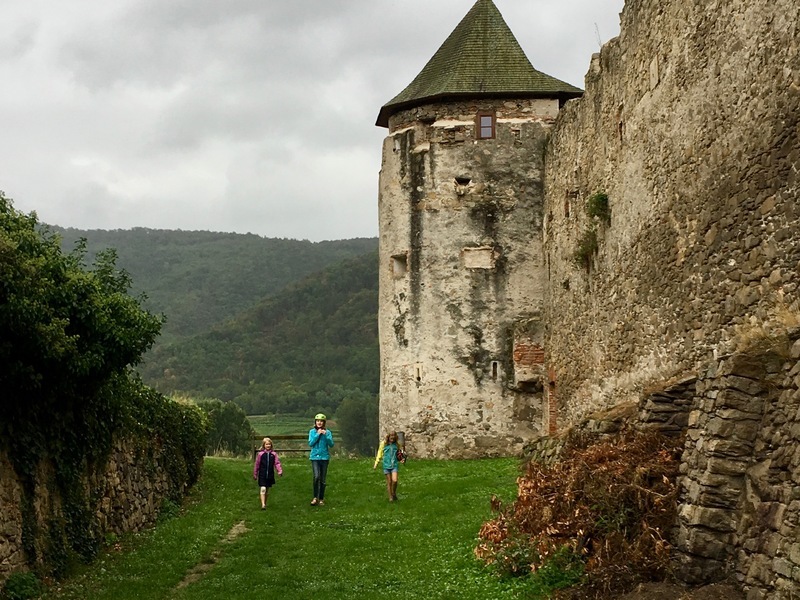 We get so inspired by many people on our travels, and using those people, those ways of life and traditions in our stories shows kids listening how wonderful differences really are. It’s made me realize that as we travel, ‘different’ is exactly what we’re looking for. In fact that’s kind of the point, isn’t it? Different people, different foods, different traditions. 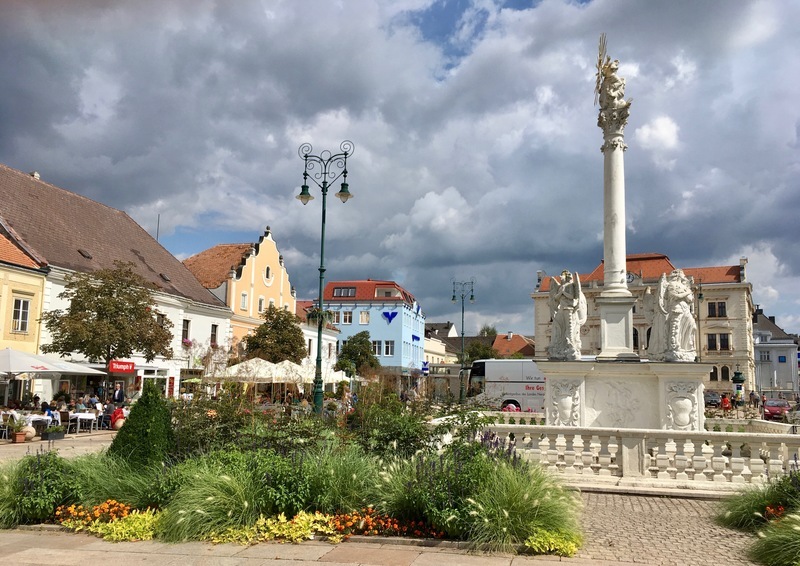 Looking back at the past couple of weeks, having the opportunity to meet all these wonderfully different people along the river was as much a highlight as the perfect trails, cozy cafes and the small town charm of Austria. 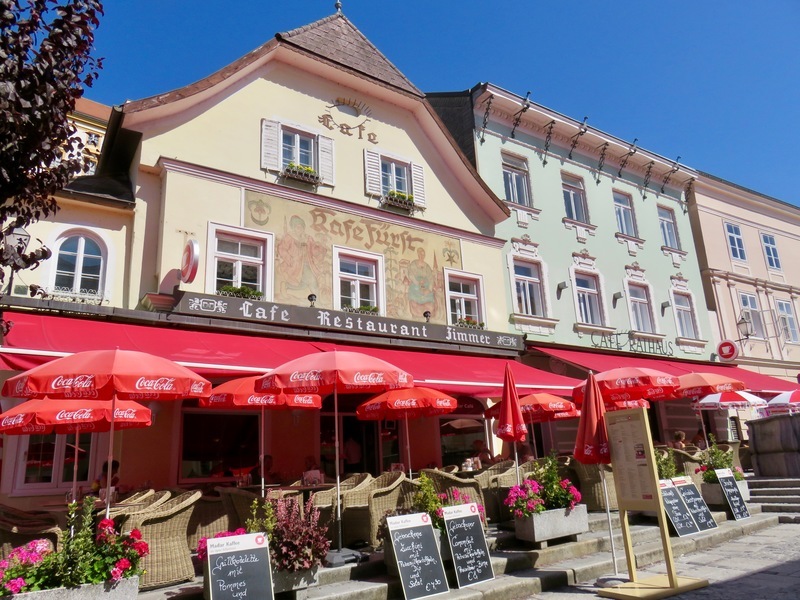 There are guesthouses along the river in each town, and arriving at one was always a fun part of our day. We never knew what our room for the night would be like. Each guesthouse was so completely different. We once entered to a flood of birds chirping and singing and realized the owners had a beautiful courtyard in the middle of their home full of birds. Another time we entered our room with a bathroom that was completely surrounded by glass. Absolutely no privacy – only clear glass separating us from the rest of the room. My 8 year old thought it was hilarious. Once we had to go through a garage and what felt like a secret tunnel to get to our room for the night. Sometimes the rooms were simple, sometimes fancy but always full of character. Being welcomed into these homes, having breakfast in the dining rooms and sharing stories with the people there was such a privilege and opened our minds a bit more each time. 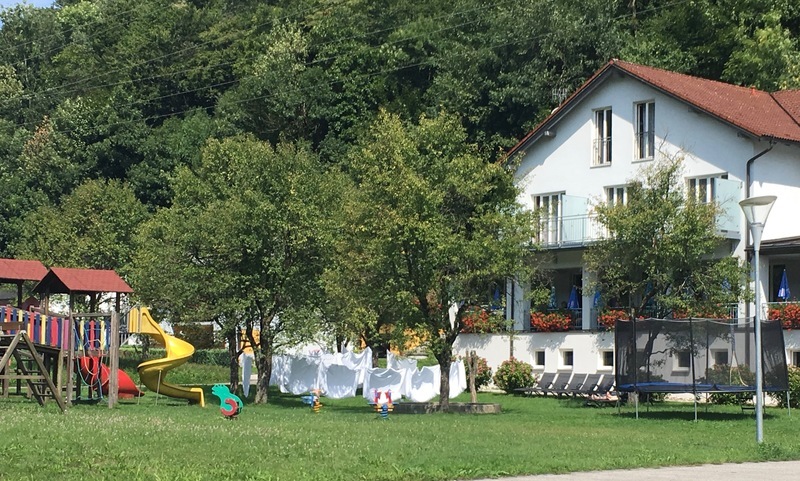 It was dinnertime when we arrived in the town Krummnussbaum, and we spotted a guesthouse with a restaurant and garden/playground attached. As we approached, a young boy asked if he could help us. Immediately it was apparent that this 13-year old boy was in charge. It turns out he was the grandson at the family-run guesthouse. When we ate at the restaurant that evening, this boy was also our waiter. I had to smile because the entire evening he was barefoot. Throughout the meal he kept handing his 15-week-old kittens to our daughters. As Matt and I stayed up late in the garden working, we noticed the boy was up surprisingly late. He was even serving beer to people at midnight (still barefoot), even though he had school in the morning. While his future in the Krummnussbaum guesthouse business may be well plotted out for him, I can’t help hoping he gets a chance to see the world as well. He was confident, kind and I loved having the opportunity to talk with him about everything from his kittens, to America, to his town and the pride he had in their sweet potato fries. 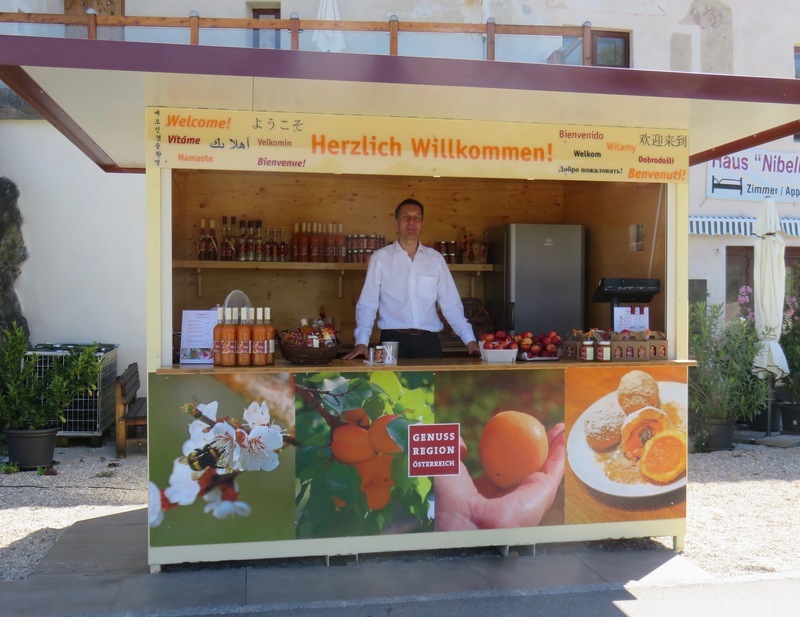 I’ve never met anyone more passionate about fruit – especially apricots – than Herr Auer. 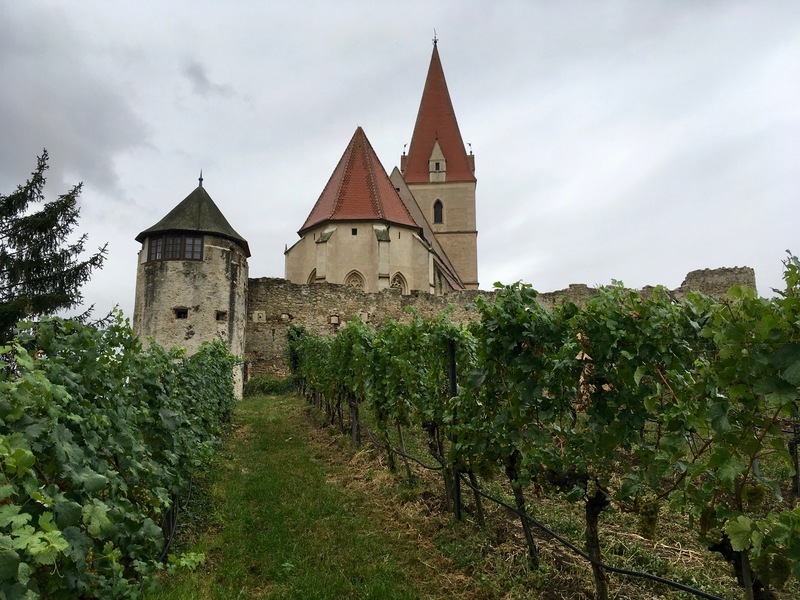 Herr Auer owns an apricot orchard not far from the charming town of Melk, Austria, in a picturesque region of the Danube called the Wachau. Every year for a few weeks he sets up his stand on the side of the road and sells his self-made apricot products. What struck me about Herr Auer was his passion. I walked over just out of curiosity and left with a bag full of marmalade, juice and chutney. He made me love apricots before I even tried a sip of nectar. His passion was completely contagious, and I was so inspired by his love of what he does. 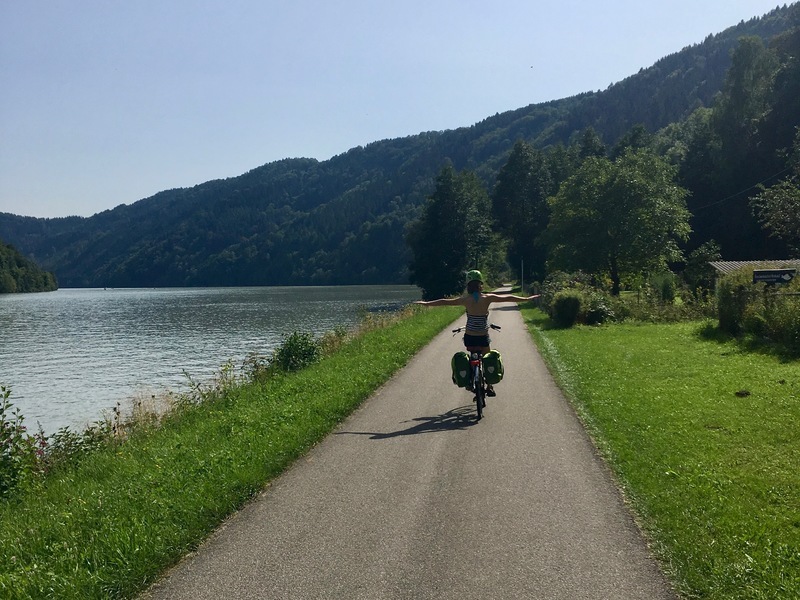 We also talked with a German man who told us stories about his year living in the Outback in Australia just searching for Opal, and a doctor biking from Brussels to Budapest. 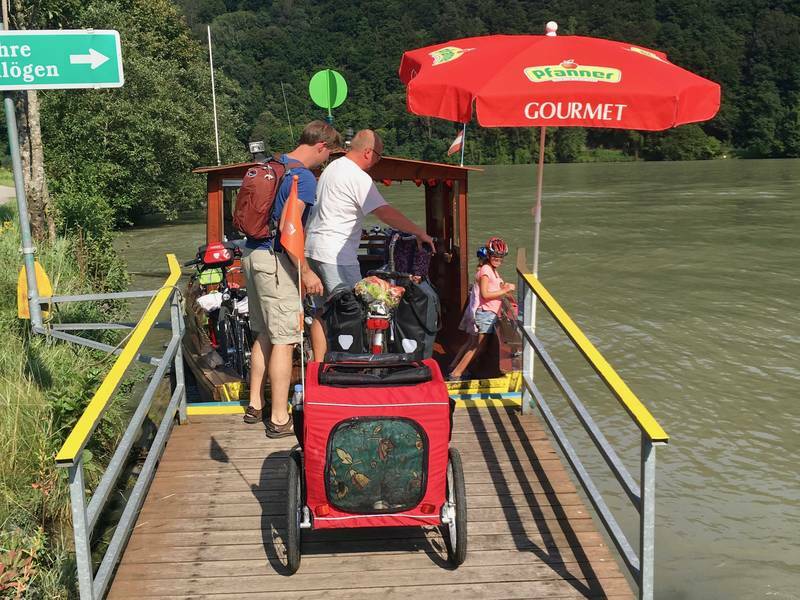 We met a Swiss couple traveling the world with their dog. 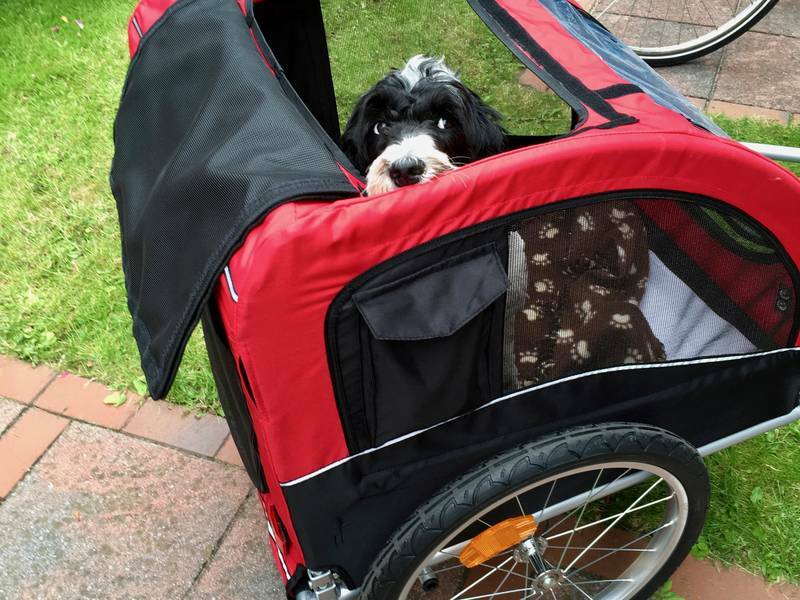 They reassured us that our dog really would one day get used to her dog trailer. At the time, the only way to stop her from barking was to sing to her. People were often surprised to peek into the trailer expecting to see a baby being sung to but instead seeing our pup. 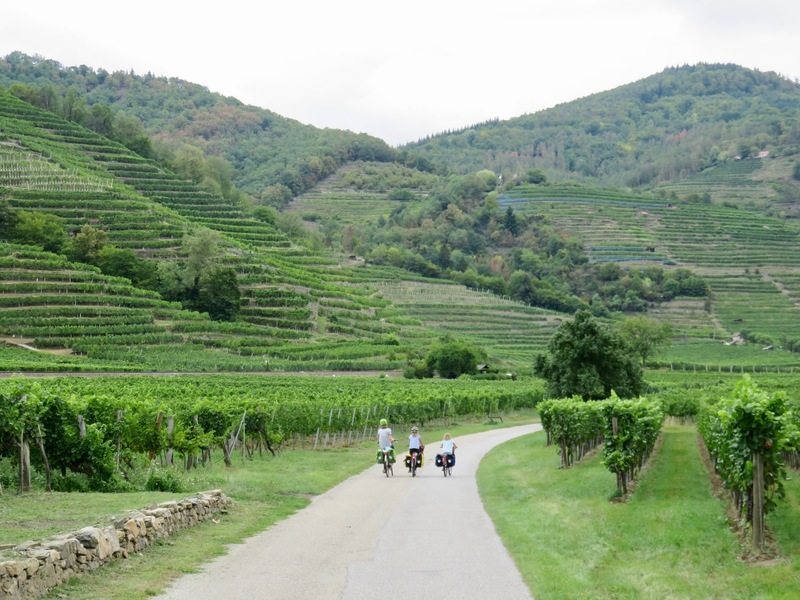 We sat with the owners of a winery and learned all about their incredible vineyard. We chatted with the ferry driver that ran the tiny boat with his dog that brought us across the river when we rang the bell on the other side. 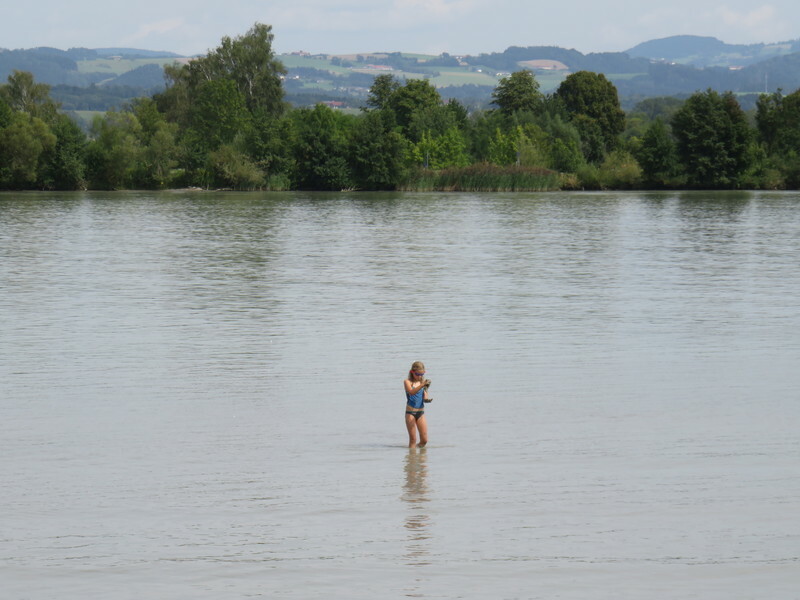 He told us about the ‘drinking water’ quality of the Danube and environmental laws that kept it clean. Meeting so many people these past weeks and past year who are living life differently and with so much passion has been such a joy for us. Do I notice them more when we’re on the road? Are people like this really everywhere if we’re open to them? Once we do finally settle down, I hope I remember to keep my eyes open to all the beautifully different people out there and to learn and grow from the passions of others. Whether it be running a guesthouse, growing grapes, mushroom farming, Opal hunting or traveling the world, there is so much we can learn from one another. Beautiful photos. Excellent story. Thank you! Truly, thank you and your beautiful, courageous family for sharing bits of your life travels and experiences with us. I’ve only just started tuning into your stories and adventures and as a new mum of twin girls, I may say that I am inspired and in awe of YOUR passion, openness and compassion for others. To show your girls and your cute little pup many new and diverse ways of living, loving and laughing through the direct experience of others is a gift, that I feel will carry your girls and so many who share in your stories, to a more accepting attitude and loving approach to humankind. Thank you for sharing and for your brave heart and loving mind. Thank you Brandy! It was truly a wonderful trip! Love reading your stories. We just came back from a cruise that seemed very international–people from many different countries. Fun to hear their stories and to hear their impressions of the US. Made for a great trip.